Nintendo’s newest device now has one less “D.” This past Wednesday the popular video game company released information about the 2DS, due to be available for purchase on Oct. 12. And while this new “entry-level” handheld device bears some similarities to its extremely popular predecessors, it is ultimately different on a fundamental level. Whether these differences will be a blessing or a curse remains to be seen. First off, the 2DS is flat, taking on a slate-like tablet look—a trending product feature in the technology world today. The non-folding device is targeted towards youths, specifically under age seven, as the 3DS is geared for children over age seven. 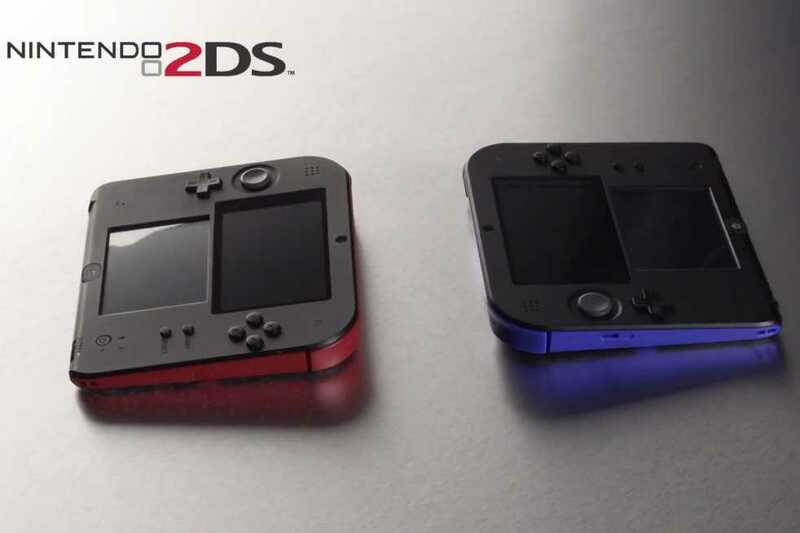 The 2DS will offer other new styles beyond the non-hinged aspect, coming in two colors: black with red trim and black with blue trim. The two screens on the new device are the same sizes as those on the previous iterations; however, the 3D feature found in Nintendo’s previous installment is, obviously as noted by the name, not included. However, this does not mean that older 3DS or regular DS games do not work in the new system. Nintendo has created software that allows for transfer between the two types of devices. Undoubtedly due to the rising popularity of photography among the latest generation of gamers, the cameras found on the back of the 3DS will remain in this new edition as well. The 2DS is equipped with two cameras that can take pictures or record videos in 3D, even though it can only be viewed on the screen in 2D. Given the new technology, users can take their media content and play it on the 3DS device, viewing it on the screens in full 3D. Additionally, Nintendo’s new creation comes with the standard WiFi, local multiplayer and other features. The 2DS comes with a slider that puts the system to sleep, replicating the function of closing the previous hinged devices. Fans of the older models who may not necessarily be in love with this latest design should fear not. While Nintendo is definitely going in a new direction with this product, it does not mean the 3DS and other 3D projects are being abandoned. Rather, the 2DS is Nintendo’s attempt at reaching out to a new segment of the gaming market. With the basic colors, sleek yet simple design and slate-like shape, the 2DS is aimed at a much younger audience. Perhaps one of the biggest draws of the new handheld system, one that will appeal to adults with jobs and small wallets, is the lower price tag. Currently, the 3DS costs $170 and the 3DS XL $200. The 2DS will be priced at $130, which is a considerable decrease and may inspire a hike in the new model’s popularity, most likely as it concerns broke college students. The timing of the release for the 2DS was carefully done. “Carefully” in this case is synonymous with “to coincide with the exact same day as when Pokemon X and Y, the sixth generation of one of Nintendo’s best selling series of all time, hits store shelves. Overall, the 2DS has one main function—to get more people playing games on Nintendo devices. Offering a variety of products or services, like Apple does with its iPods, iPads (regular and mini) and Mac computers, is a very valuable aspect of a technology company. So, while this new Nintendo handheld may seem a step down from its predecessor, its production is a smart move, at least on paper. Come Oct. 12 we will see for ourselves.